Although this is a blog about Aussie beers etc., I have been known to deviate into the wider world, as occasion sees fit. 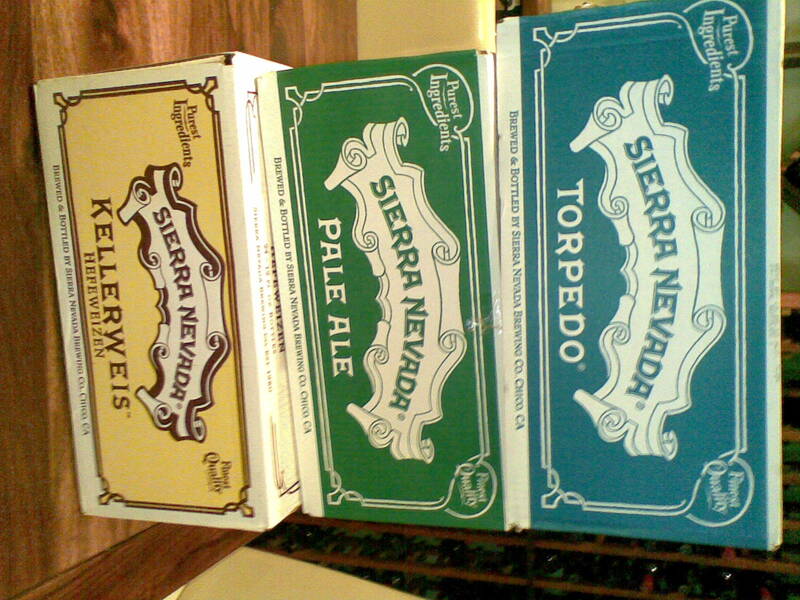 The legendary Sierra Nevada beers have been rare visitors to these shores. I picked one up many years ago at Leura, and had also seen them infrequently at other specialty beer shops. At the time, these beers were brought in via 'the grey market'...the brewery had no intention of exporting to Australia, but a few savvy middlemen would buy in bulk, and do the exporting themselves. The problems with this are manifold: there is no oversight from the brewer's distributor of choice, the quality of the beer cannot be guaranteed, and the middlemen make a killing. i.e. you pay more for a risky product. Hence the $7.95 I laid out for a stubby of Sierra Nevade Pale Ale ("SNPA") at Leura, many years ago. It was very good, mind you. You may have seen international beers that have the little white sticker on the side. This sticker contains all the legal pulava required to sell beers in this country, as the original beer label does not comply. i.e. the brewer never intended the beer to land here. Whenever you see one of these, think twice, as there is no guarantee the beer made its way to you without some inordinate stress. Look for a "Best Before" date as well. 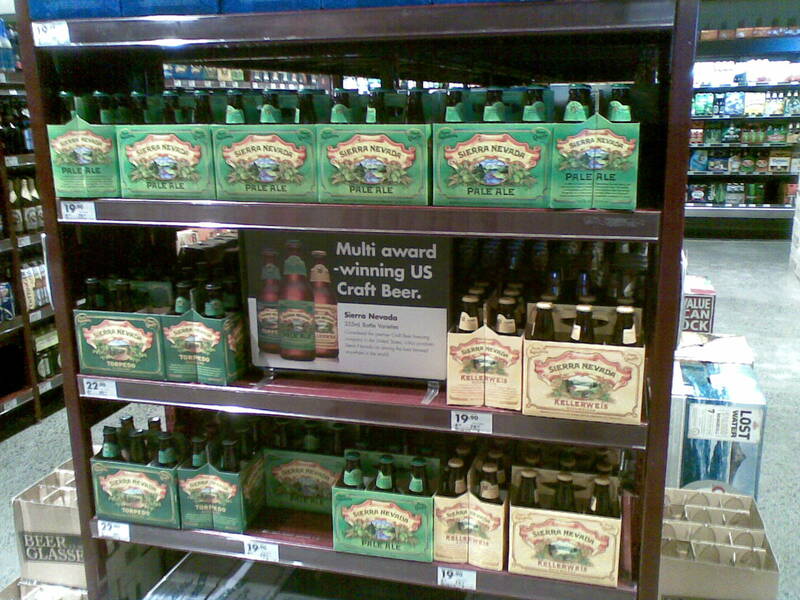 Recently, I was aware that several American brewers were starting to take the Antipodean market seriously, and had hear rumours to the effect of Sierra Nevada, Rogue, Anderson Valley et al. were on their way. Officially sanctioned, too. 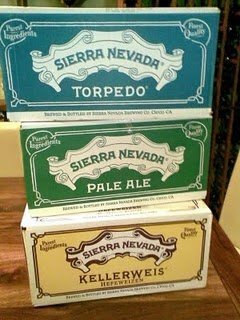 So, it was with great joy to read this morning's local paper, and to see the Dan Murphy advert for Sierra Nevada beers: the Pale Ale, the Kellerweis, and the Torpedo. And for very reasonable prices, too. As I surveyed the scene (and took the picture of the shelf), another bloke came up and said "you here for this too...", before walking off with a six pack of Torpedo. And the lady at the check-out said that a lot had already been sold. I think there are more discerning beer lovers out there than one would realise.... Happy days indeed.